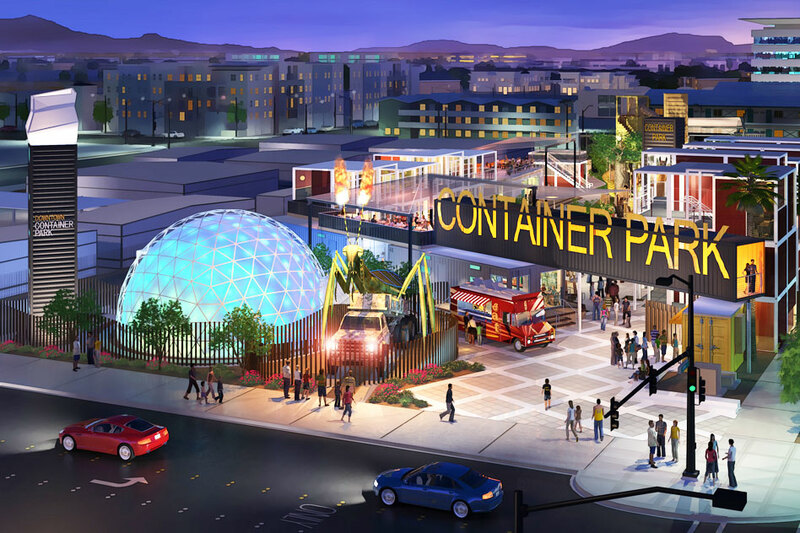 With the development of East Fremont booming, Tony Hsieh and his Downtown Project urban redevelopment company have proposed Container Park as the “new heart of Downtown Las Vegas,” Container Park was designed to utilize pre-built shipping containers as structures; this was suppose to be a quick way to construct new venue. But the 56,000-square-foot project has confounded watchers, anxious to see a project first approved for construction in October 2012. The managers of Container Park have adopted an innovative approach to tenants, with some available leases running as short as a month, assuring a changing mix of retailers and food and beverage operators over the coming year. The Container Park itself will be free of charge and open from 9 a.m. to 11 p.m. weekdays and until 1 a.m on weekends. Retailers open at 10 a.m. and close at 9 p.m. during the week and 11 p.m. on weekends. Restaurants open at 11 a.m. close at 11 p.m. and stay open until 1 a.m. weekends. Individual tenants can choose their own schedules within those park guidelines. Curfew hours for those under 21 will apply when necessary. Bin 702: 16 wines on tap, fresh salads and paninis. Participants in this venture will be opening O Face Donuts at the nearby John E. Carson Hotel redevelopment. Big Ern’s BBQ: Local favorites selling slow smoked barbequed meats with beer on tap, coleslaw and barbecue beans. The Boozery: Michael Cornthwaite, this “playful and rustic concept” is the only full bar in the park. 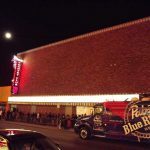 Beer on tap ,wine by the glass, liquor and mixed drinks. Pinches Tacos: The legendary, celebrity-approved casual Mexican food chain comes to Nevada. Pork and Beans: Celebrity chef Kerry Simon and Hell’s Kitchen season eight winner Nona Sivley will serve artisan sausage, beer and beans. They will also be working together on a new restaurant at the John E. Carson Hotel, a block away. Las Vegas Kettle Corn: Kettle popped corn, air popped corn lemonade shakers and Las Vegas logoed novelties. Sweet Spot Candy Shop: A second sweet treat outpost from a longtime Downtown business. Sasa Pops: Gourmet frozen deserts from local favorites, SasaSweets. CupKates: The Tivoli Village store expands downtown to include cupcakes, desserts and “children’s dress up” teas parties.